You are cordially invited on behalf of the Financial Policy Council’s Board of Directors, to our next Financial Policy Council private briefing with a panel of 4 expert speakers on money making. TOPIC : Can Our Tax Code be Transformed from a Tool for Redistribution to an Engine for Economic Growth? Mark Skousen, Ph. D., Editor of Forecasts & Strategies, is a nationally known investment expert, economist, university professor, and author of more than 25 books. Currently Skousen is a Presidential Fellow at Chapman University. He recently was named one of the 20 most influential living economists. He earned his Ph. D. in monetary economics at George Washington University in 1977. He has taught economics and finance at Columbia Business School, Columbia University, Grantham University, Barnard College, Mercy College, Rollins College and Chapman University. He also has been a consultant to IBM, Hutchinson Technology and other Fortune 500 companies. Since 1980, Skousen has been editor in chief of Forecasts & Strategies, a popular award-winning investment newsletter. He also is editor of three trading services, Skousen Private Equity Trader; Skousen High-Income Alert and Fast Money Alert. In 1995, he served as editor of the investment series, “Secrets of the Great Investors,” with Louis Rukeyser as narrator. 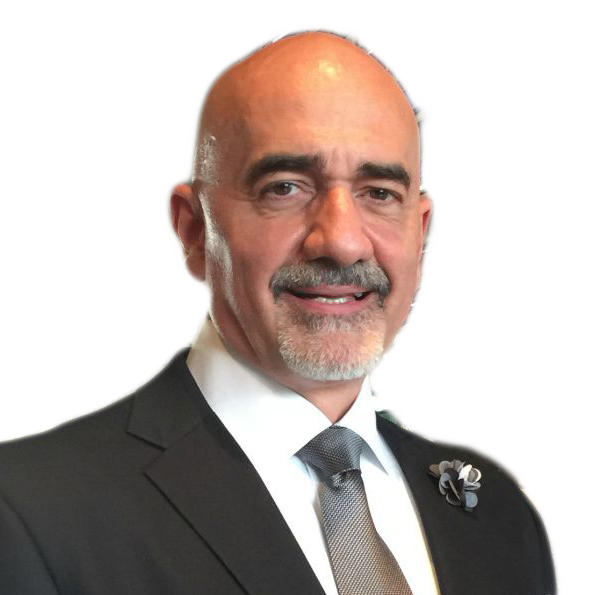 Vince D’Addona is a senior executive with Strategies for Wealth – a wealth planning and management firm – with 36 years of experience providing financial planning, charitable planning, estate planning, retirement planning and investment services to a variety of clients and organizations. He is also a nationally known practitioner with The Living Balance Sheet (R) , has served on the Living Balance Sheet (R) design team and is a Living Balance Sheet (R) faculty member. Often known as the experts’ expert, Vince has helped hundreds of individuals move closer to their full financial potential. In 1992-1993, Vince served as President of the Executive Committee of the Leaders Club, and has served on Guardian’s product and technology committees. He has also served as a subcommittee chair for the AALU 2010 annual meeting. Vince is a Life and Qualifying member of MDRT for thirty-two years, Court of the Table for twenty years, Top of the Table for twelve years, and has spoken at the MDRT National Meeting. He also has 29 consecutive Guardian President’s Council Qualifications and is an active member in a number of other industry organizations, including the Financial Planning Association, P.A.C.E., the International Association of Registered Financial Consultants, the National Association of Insurance and Financial Advisors, and the National Association of Estate Planning Councils. Mr. D’Addona has served as President of the New York City Chapter of the Society of Financial Services Professionals, and on the boards of the New York City Association of Insurance and Financial Advisors and the New York Estate Planning Council. Michael Grad has been employed by AIG, Inc. from 2009 through this month. He joined AIG in early 2009 as Senior Managing Director in the Restructuring Group which over the next 3 years successfully repaid $182 billion of U.S. Government Assistance with a profit of $23 billion to the US Government. This restructuring and repayment included over $50 billion of business divestitures, $20 billion of capital markets transactions and the conversion of $48 billion of TARP Preferred Stock held by the US Treasury into common stock. Beginning in August 2011, Michael was an AIG Corporate Vice President-Finance, COO of the Finance Department and Chief of Staff to the EVP/CFO. 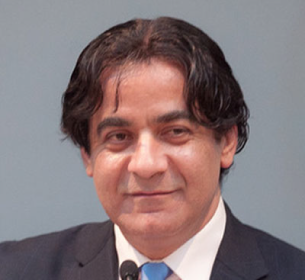 In 2013-2014, he founded and led AIG’s Global Office of Recovery and Resolution Planning which was responsible for the production and submission of AIG’s first Recovery and Resolution Plans as a systemically important financial institution (SIFI). Since 2009, Michael has also been an Adjunct Professor at the Columbia Graduate School of Business where he designed and has taught 13 times a second year Finance elective entitled Corporate Finance, Restructurings and LBO’s. In 2011 he received a Dean’s Award for Teaching Excellence. Through December 2008, Michael was an investment banker for 25 years with several Wall Street firms. His areas of expertise include financial sponsor banking, leveraged finance and LBOs, debt restructuring and bankruptcy, and M&A. During his investment banking career, Michael was a Managing Director for 18 years and a Group Head for 13 of those years. From 2001-2008 he headed the Financial Sponsors Group at ABN Amro. Prior thereto, he was an MD at UBS Warburg (financial sponsors), Bear Stearns (M&A) and Schroder Wertheim (now part of Citigroup) where he ran groups including Fixed Income Investment Banking and Capital Markets and Financial Restructuring. Prior to entering investment banking, Michael was an attorney for 2 years at Simpson Thacher & Bartlett. Michael has a BA from Yale College , a JD from Stanford Law School and an MBA from Stanford Graduate School of Business. 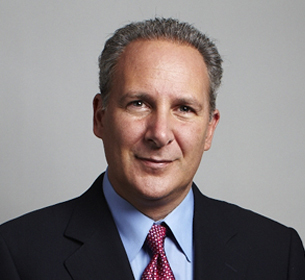 Peter Schiff is the President & CEO of Euro Pacific Capital, Euro Pacific Bank, and SchiffGold. He is one of the few widely known economists and investment professionals to have spoken about the financial crisis of 2008 before it began. He is a widely followed opponent of debt-fueled growth policies and known for his advocacy for emerging market and commodity-focused investments in countries with positive fiscal characteristics. An expert on money, economic theory, and international investing, he is a highly sought after speaker at conferences and symposia around the world. He served as an economic advisor to the 2008 Ron Paul presidential campaign and ran unsuccessfully for the U.S. Senate in Connecticut in 2010. Mr. Schiff has been quoted hundreds of times in leading news outlets around the world, including The Wall Street Journal, Barron’s, Die Zeit, Tokyo Shinbun, South China Morning Post, Investor’s Business Daily, The Financial Times, The New York Times, The Los Angeles Times, and The Washington Post. He regularly appears on CNBC, CNN, The BBC, Al Jazeera, Fox News, and Fox Business Network. His best-selling book, “Crash Proof: How to Profit from the Coming Economic Collapse” was published by Wiley & Sons in February of 2007. His fourth book, “The Real Crash – America’s Coming Bankruptcy” was published by St. Martin’s Press in May of 2012. Mr. Schiff began his investment career as a financial consultant with Shearson Lehman Brothers, after having earned a degree in finance and accounting from U.C. Berkeley in 1987. He resides in Connecticut and with his wife and son, as well as a son from a prior marriage.